A multidisciplinary designer specializing in creative technology, industrial engineering, and multisensory experience. 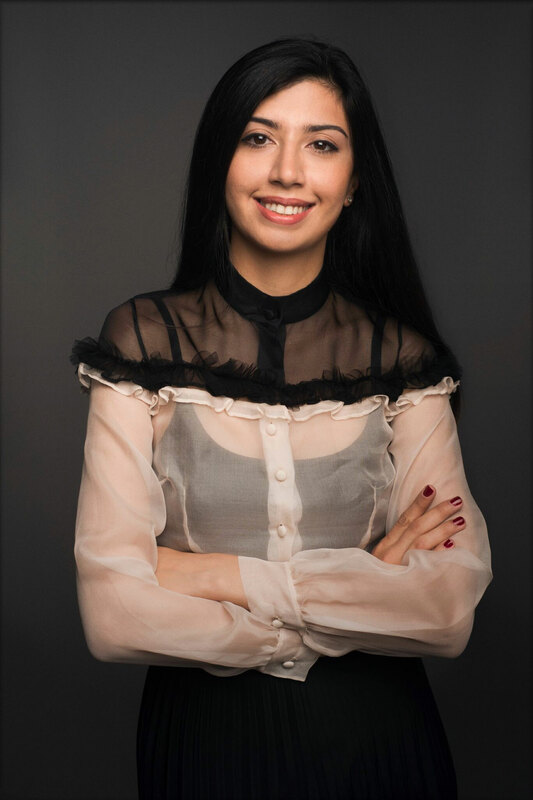 Ezgi Ucar is the Chief Product Officer at LOOMIA, a leading smart textiles and technology company based in New York City, where she oversees the refinement of innovative ideas into scalable manufacturing processes. Born and raised in Turkey, Ezgi studied Industrial Engineering at Middle East Technical University and earned her MFA in Design and Technology at Parsons School of Design. Her work in multi-sensory explorations and materials research has been featured around the world at exhibits such as The Metropolitan Museum of Art, the Circuit Bridges Concert Series, SXSW, and Numa Paris. Photon Ecstasy is a performance project that engages music, sound, and science fiction to address the hubris of certainty. Created by composer-performers Melissa Grey & David Morneau( L’Artiste Ordinaire ), it is a concert-length spatial performance for spoken word, trombone, and electronics—including Benjolin (a modular synthesizer), vintage video game systems, programmed beats, samples from the NASA Audio Collection, sonified data, and interactive wearable technology. Madison Maxey and I created a germicide textile concept that uses flexible fiber optic wires with UV light. In this project we explored production of a germicide cloth using methods like knitting and weaving with electronic textiles. This was a proof of concept developed during a workshop for Corning & Project 61 to explore applications of Corning versalume fiber optics. As head of Product Development at LOOMIA, I created two color changing dresses for designer Julianna Bass along with founder Madison Maxey. This project thermochromic ink and LOOMIA Electronic Layer technology that we developed. Thank you! I received your message and will be in touch as soon as possible.